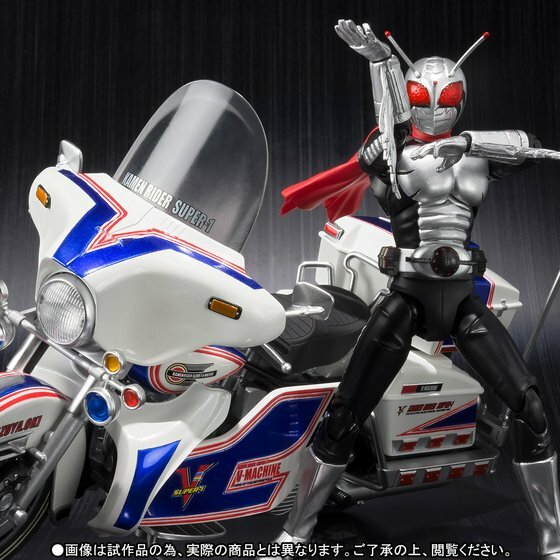 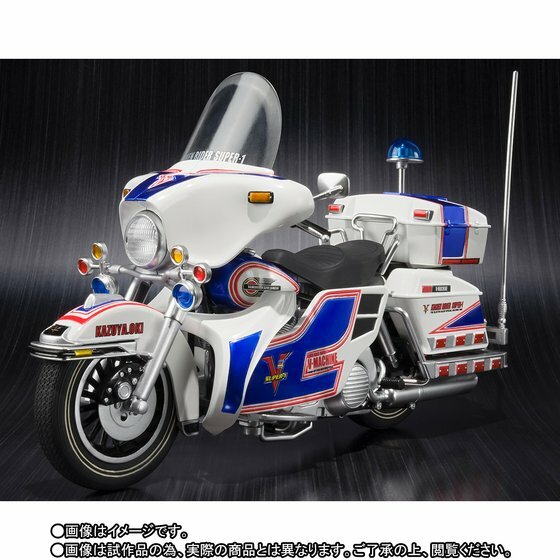 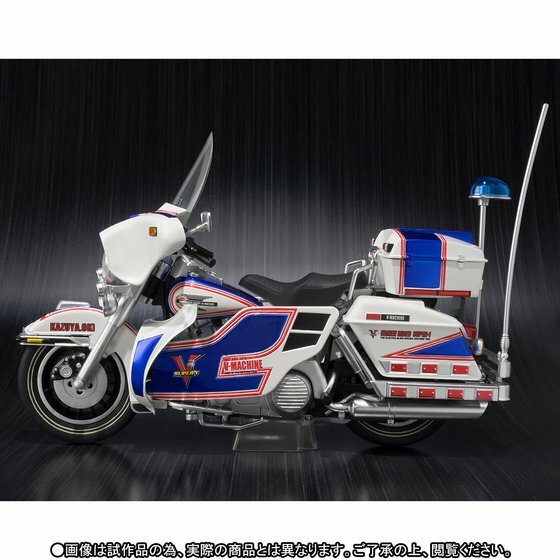 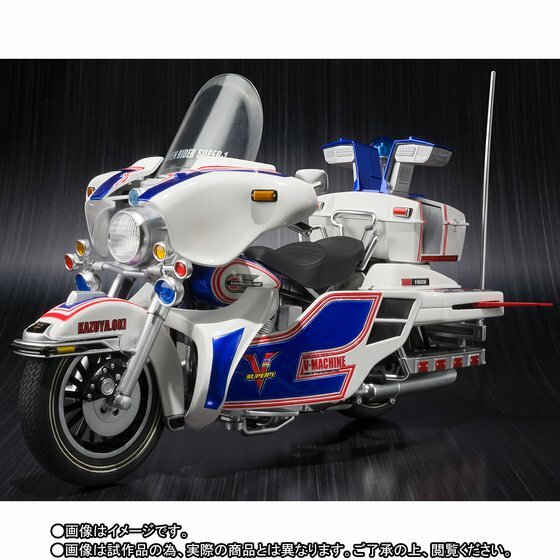 Premium Bandai announced the S.H.Figuarts release of Kamen Rider Super-1’s bike, the V-Machine. 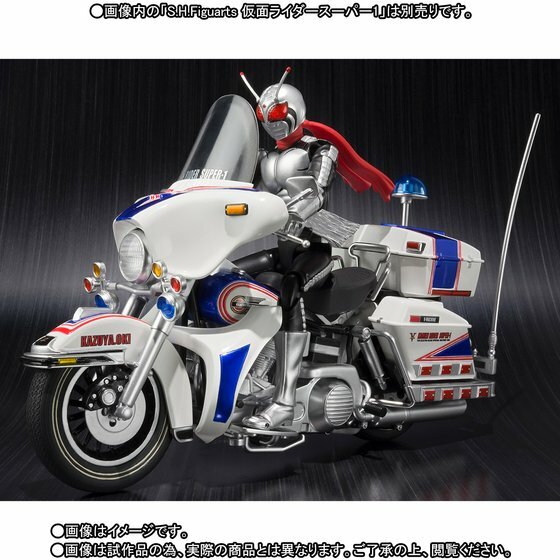 The S.H.Figuarts release of the the V-Machine is slated to include stand parts for additional posing. 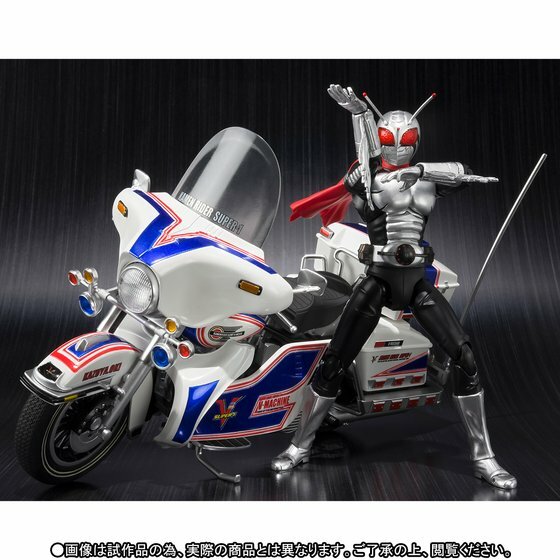 For collectors that missed out on the release of S.H.Figuarts Kamen Rider Super-1 quite a long time ago, a set including the original figure and the V-Machine together is also being sold. 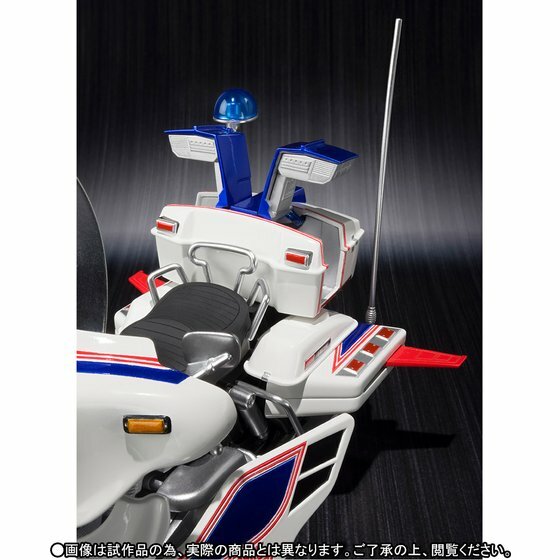 That set includes the same stand parts as well as ten additional hands, a sword weapon, alternate scarf piece, alternate arm tassels, and the various different gloves of the Five Hand. 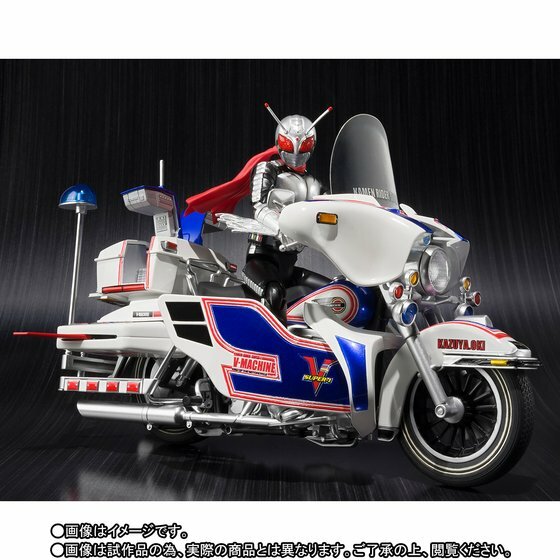 Preorders for the V-Machine and the Kamen Rider Super-1 and V-Machine Set are currently live and will conclude at an unannounced date. 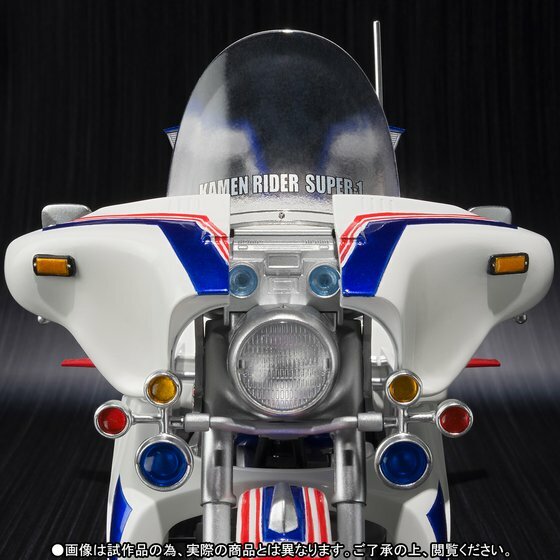 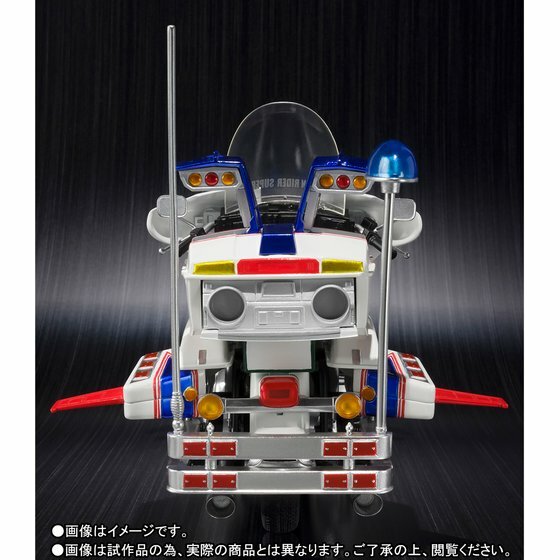 Both the V-Machine and the set with Super-1 will release in April, 2017. 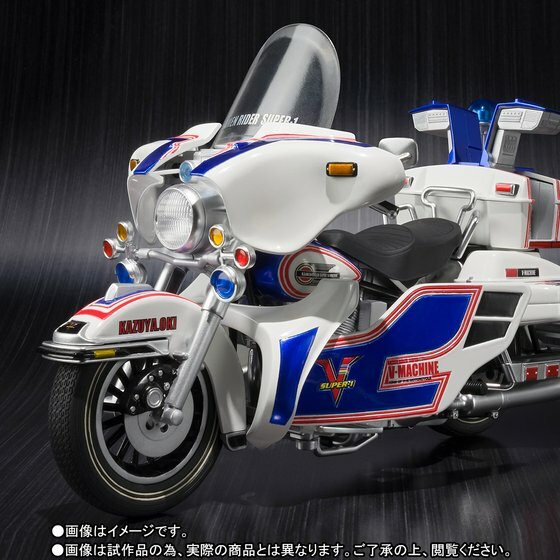 The standalone V-Machine will retail for ¥7,560 before fees and shipping while the set will retail for ¥11,664 before fees and shipping.